Going through old photos, I came across some beautiful arches - some ornately decorated, some withstanding centuries of history and battles and standing strong and yet others crumbling to time . These are all from the Mughal Era, constructed around the 16th and 17th century AD. 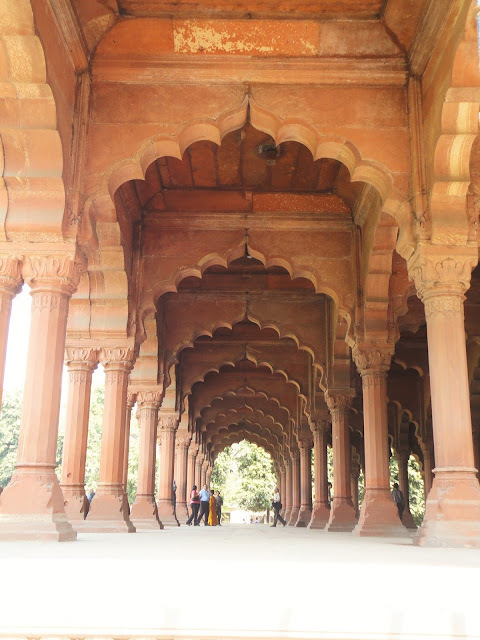 A lot of these arches have been reconstructed by ASI, Archaeological Survey of India. They have been photographed either in Delhi or Agra. If you go on a warm summer day, the fort is likely to be less crowed. 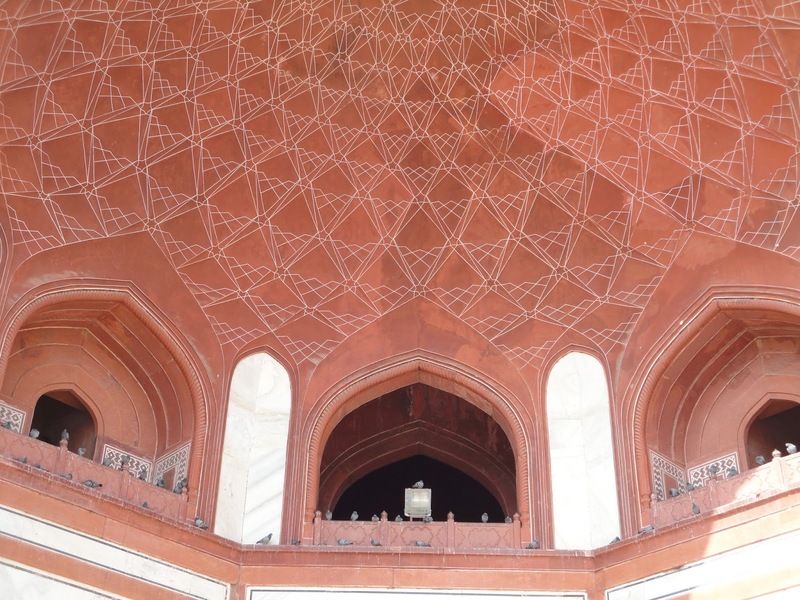 You can sit here for hours, staring at the glory of the architecture, which was as it's peak under Shah Jahan. 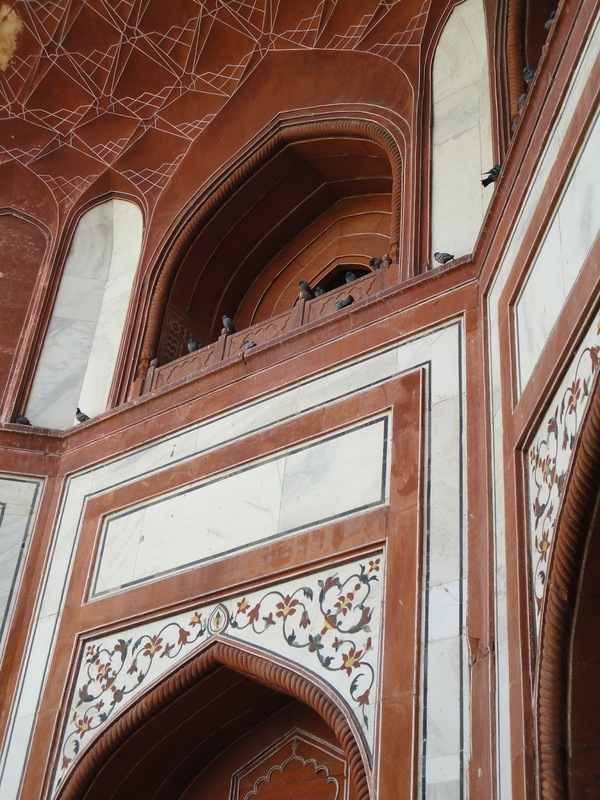 The fort is breaking apart in many places, but it still is a symbol of beautiful Islamic Architecture. find kiosks, emporiums and stores selling artefacts, jewellery and other small trinkets. public and listen to their grievances. The roof is supported by these pillars and arches. The palace was constructed so as to emulate paradise, as described in the Quran. The rows of pavilions are all connected with a continuous stream of water - called Nahr - i - Behisht. You can't really imagine how a Mughal Emperor's tomb looks like unless you set foot here. It looks like a palace, with lush green gardens outside and Persian architecture on the inside. Located close to Nizammudin Dargah in Delhi, Humayun's tomb is also a UNESCO world heritage site. 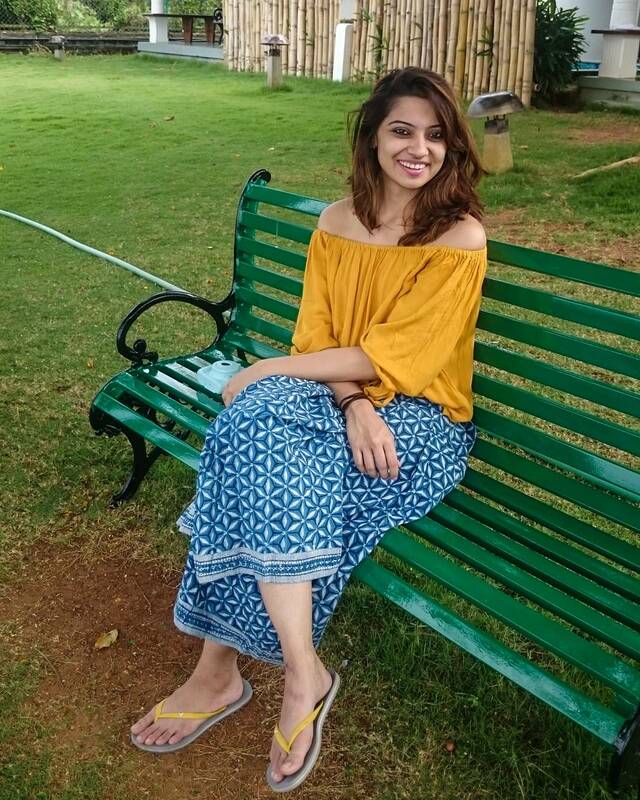 The lush gardens make for a good picnic spot for the Delhi-ites, and occasionally, you can see foreigners posing for photos in front of the mausoleum. 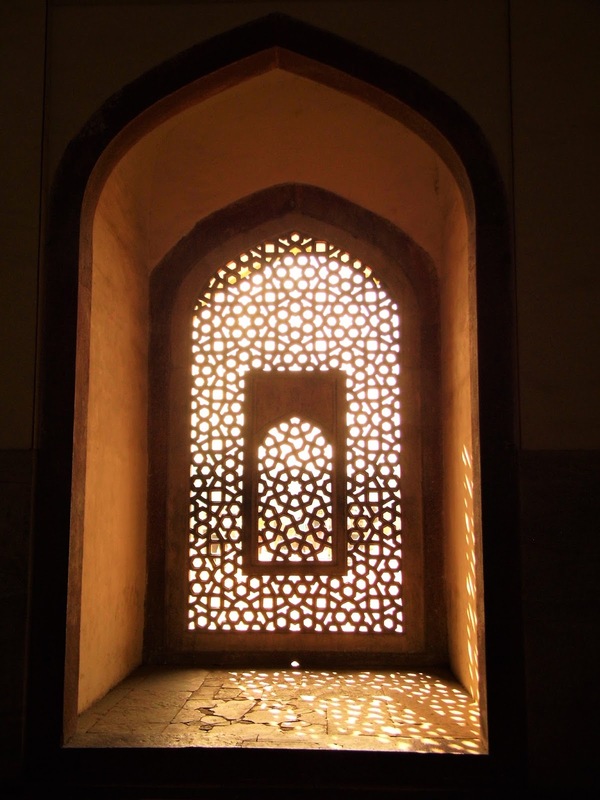 Some of the alcoves are so fascinating, they stream just the perfect amount of light inside. If you have time, you can sit by the alcove and maybe read a book. The floor is cool. 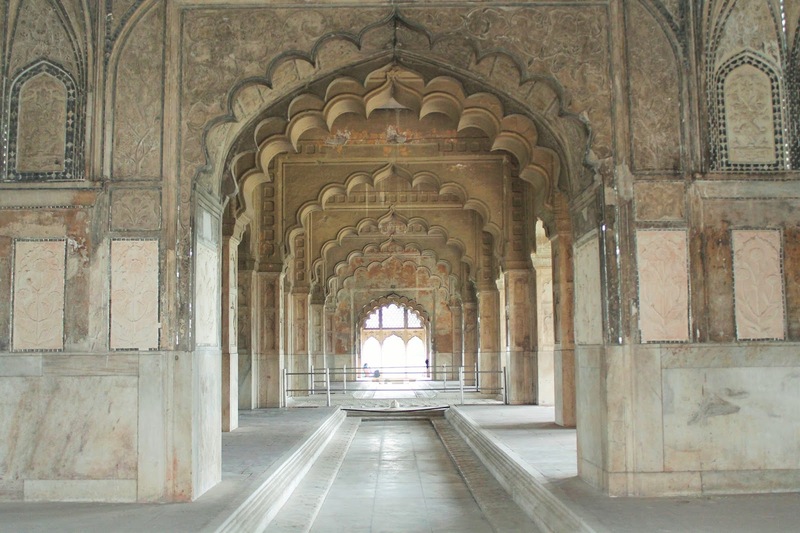 You'll be reliving the pages of history in one of the finest tombs of the Mughal world. tomb is well thought of and laid out. Another beautiful domed arch which also serves as a wall concealing the Humayun's tomb. The tomb was built by Mirak Miirza Ghiyas, of Persian origin. This beautiful fort is located in the old and historic city of Indrapastha, which was one of the many cities of Delhi and also considered to be the capital of the Pandavas. The fort's current form was built by the Afghan ruler Sher Shah Suri. The Purana Quila, similar to Humayun's tomb, is surrounded by lush greenery, in the heart of Delhi. are all written in Persian. Inside the Qila-i-Kuhna, the mosque inside the Old fort. For the inscriptions, marble is used in shades of red. 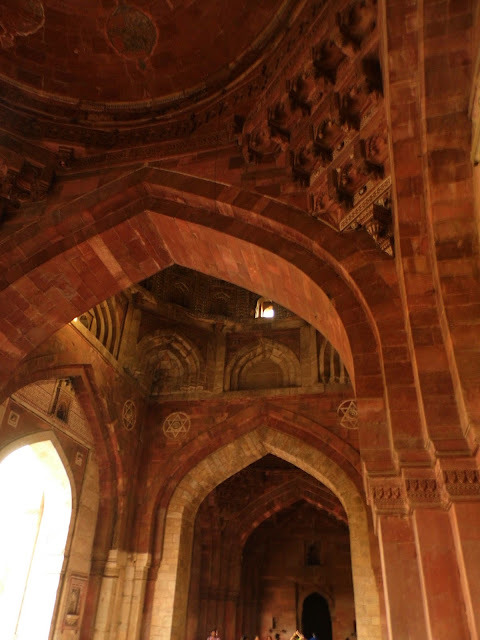 is one of the best preserved structures inside the Purana Quila. It is a single pointed dome. 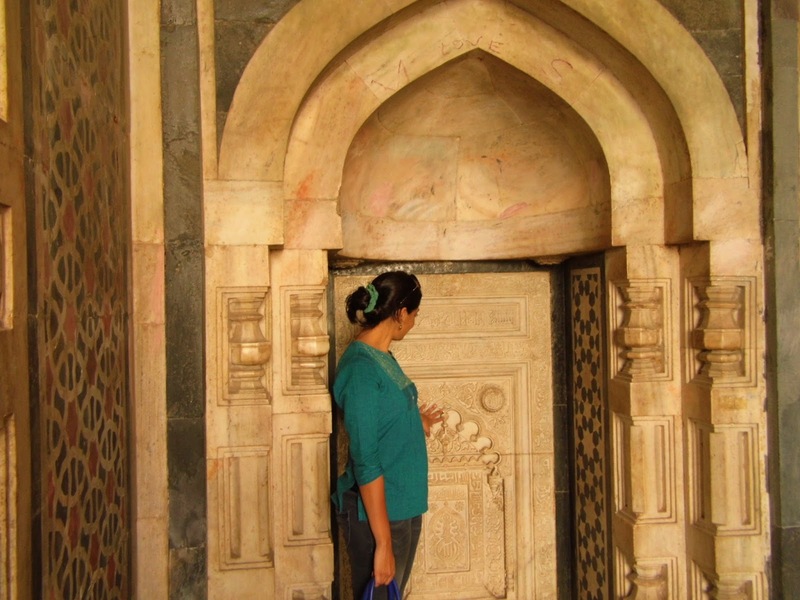 One of my first reactions when I heard that this was supposedly a door to the Taj Mahal was that of shock. 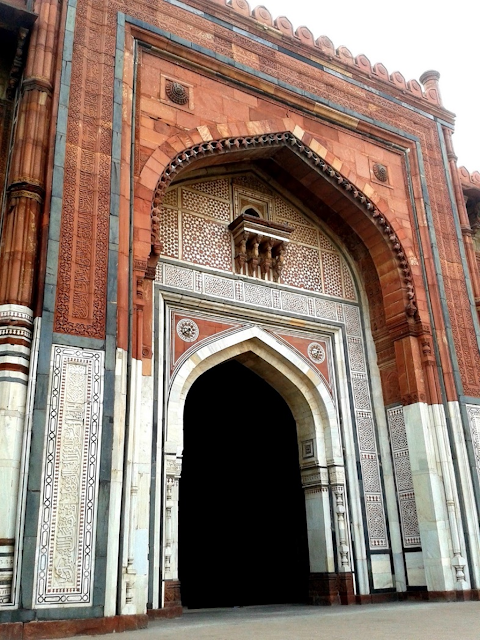 Also called the Darwaza-i Rauza, this monument guards the even more beautiful Taj Mahal. I call it monument because in all senses, it should've been a monument on it's own - that's how grand it is. The ceilings are worth observing, with a lot of effort taken to decorate them. 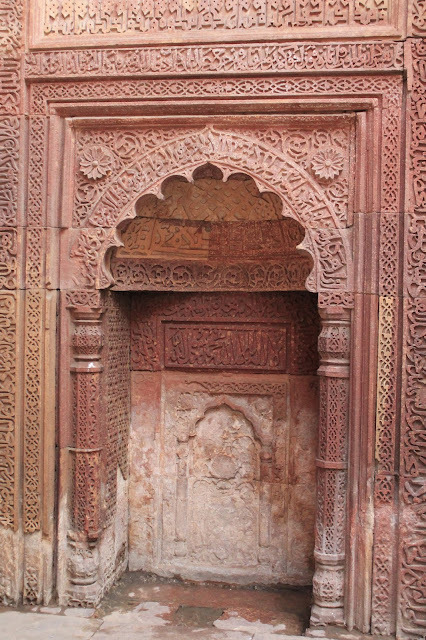 This is one of the most beautiful grand doors constructed, called the Darwaxa-i Rauza. After walking through this, you can witness one of the 7 wonders of the world. intricately carved with hand crafted floral design. 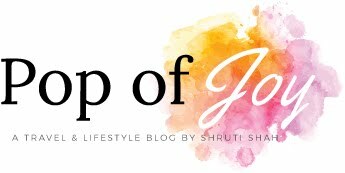 If you liked reading this this, do share it ! Very beautiful captures of the arches. I haven't been there and am longing to get there after seeing your pics. Hey Indrani, thanks ! It's truly a walk through the history pages. And each arch, dome and monument is worth spending some time on. The carvings, arches and jali work of Mughal architecture are simply grand. 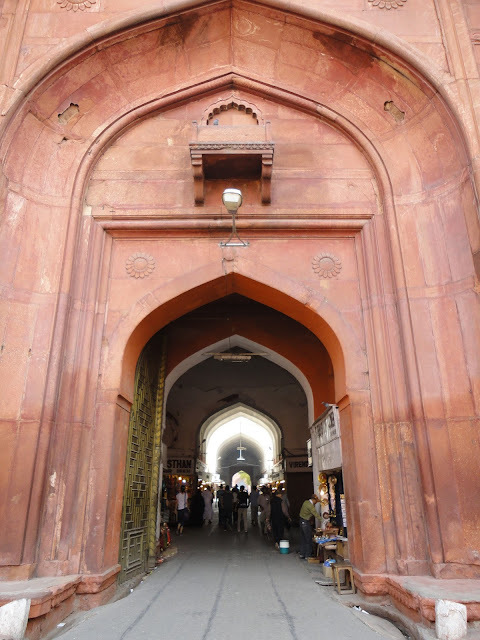 Red Fort used to be one of my favorite historical monuments in Delhi, though the Red Fort at Agra is much bigger. Totally, the architecture is truly beautiful. Has me amazed everytime ! The ancient architectures always amaze me...such delicate and detailed work as if the craftsmen spent a lifetime on them. 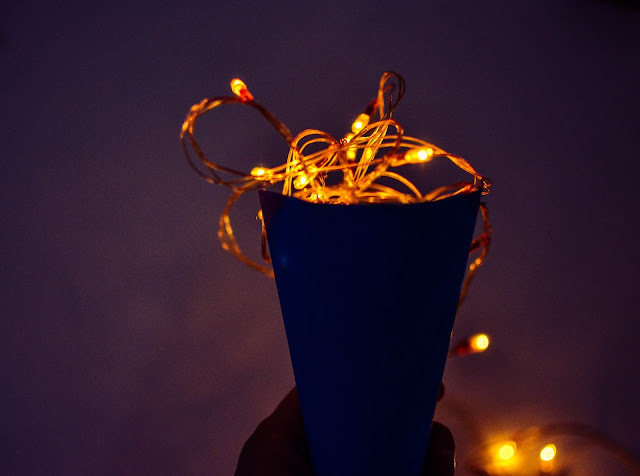 I wish to see all of the someday! Yea it's quite grand. Very delicate hand crafted work - seems like it would take them an eternity.